The K9 Health Centre shop is located in both our Aberdeen centre. We stock a wide selection of foods, treats, toys and accessories for your dog. Anything we don't stock can be ordered in, and we are usually able to provide it cheaper than major pet stores. 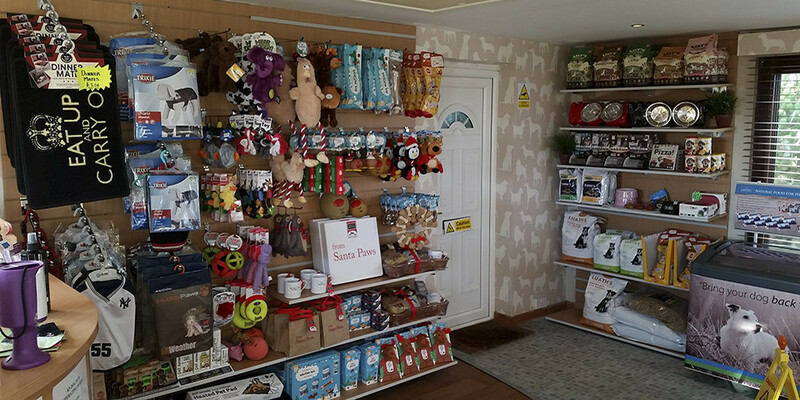 For our Dog Run customers in Aberdeen - we are able to deliver orders from our shop home with your dog, so no need to spend time and money travelling to the pet store.